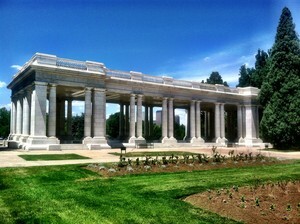 Cheesman Park is one of the oldest neighborhoods in Denver. Set on eighty plus acres, it was formerly the Prospect Hill cemetery. In 1907 Prospect Hill was converted into a park. A neighborhood grew around the park and by 1915, Chessman Park had become home to huge mansions as the rich found their way to the park. By the early 1930's developers had discovered the neighborhood and found the park to be the selling point. Apartment buildings started going up, condos and smaller houses were nestled between the mansions. The neighborhood has evolved into a neighborhood of diversity. 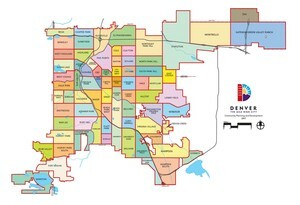 There are restaurants, bars, coffee shops and stores for shopping on nearby Colfax Ave to the north and 6th Avenue to the south. Today Cheesman Park residents love to live here. Strolling on the pathways or jogging early in the morning. There are areas where you can fly kites, or play a game of tag football. The Walter Cheesman Pavilion is a favorite gathering place for family reunions, and weddings. Behind the pavilion is an elevation that overlooks Denver's breathtaking skyline. One of Cheesman Park's most beautiful areas is the Botanical Garden where visitors can enjoy the flowers, plants and shrubs. With so much to do and see, it is no wonder that Chessman Park is one of the most popular neighborhoods in Denver.